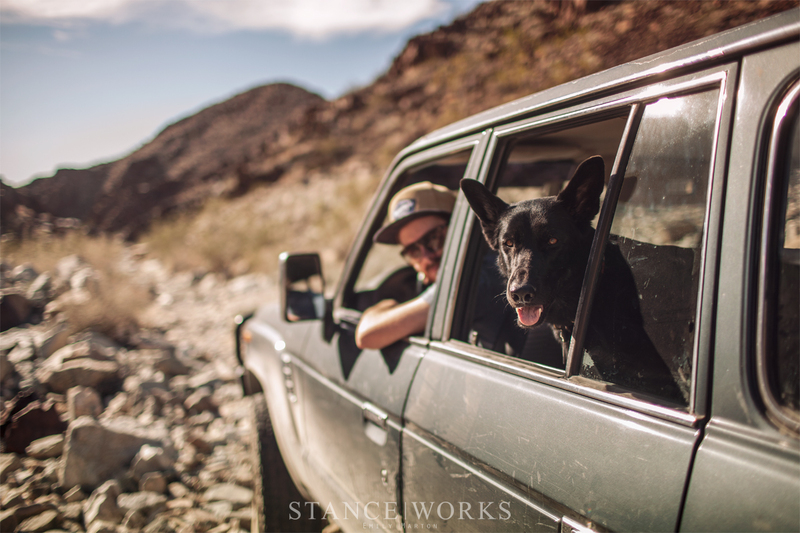 Over the past two years, the StanceWorks FJ62 Land Cruiser has certainly earned its keep. 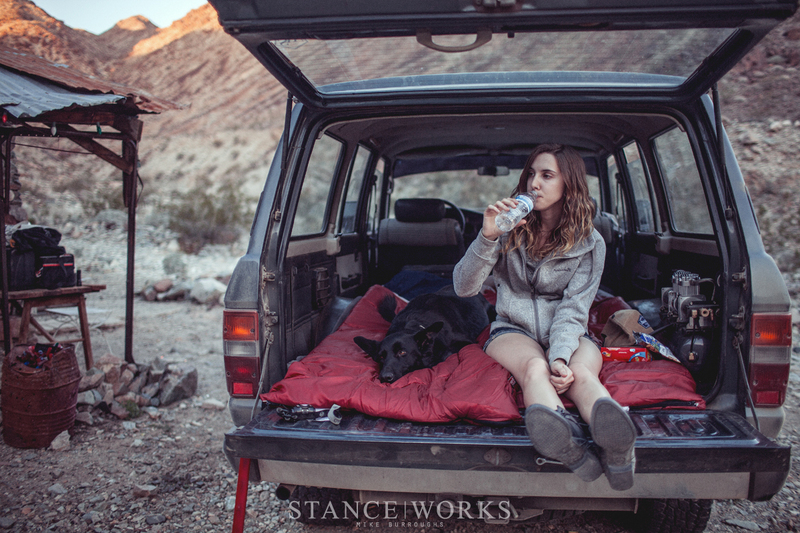 From off-road adventures driving under a hot day's sun, to cold nights spent camping inside, we've certainly found it to be a home away from home. More than that though, it's spent nearly two full years on daily driver duty, and while I've tried my best to keep it clean, Chloe has done her best to give it that "lived in" feel, and perhaps not in the best way. From dirty paws that track in dirt, and thick black hair that manages to wind up everywhere, to a wet nose that marks windows faster than I can clean them and that all too familiar canine scent, Chloe has managed to test the Land Cruiser's internal durability as much as I've pushed it on the outside. 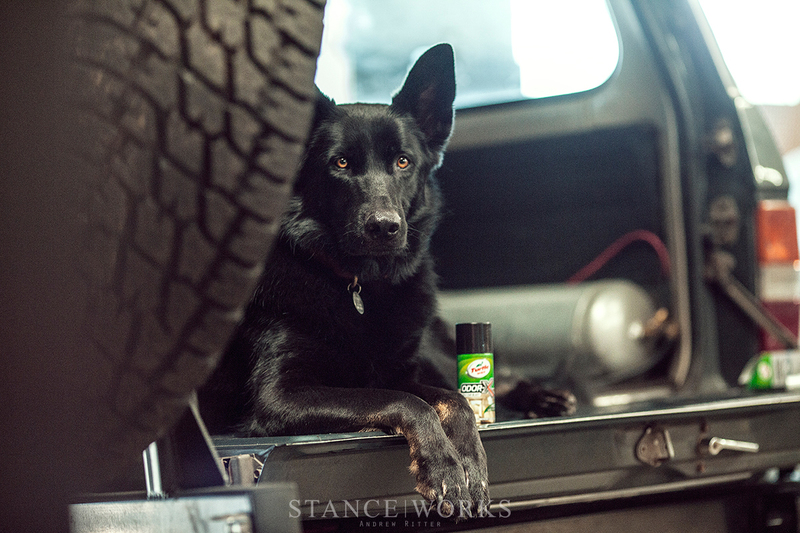 This week, we decided to put some of Turtle Wax's interior cleaners to the test, daring them to counter the best Chloe, our one-of-a-kind German Shepherd shop dog, can throw at them. 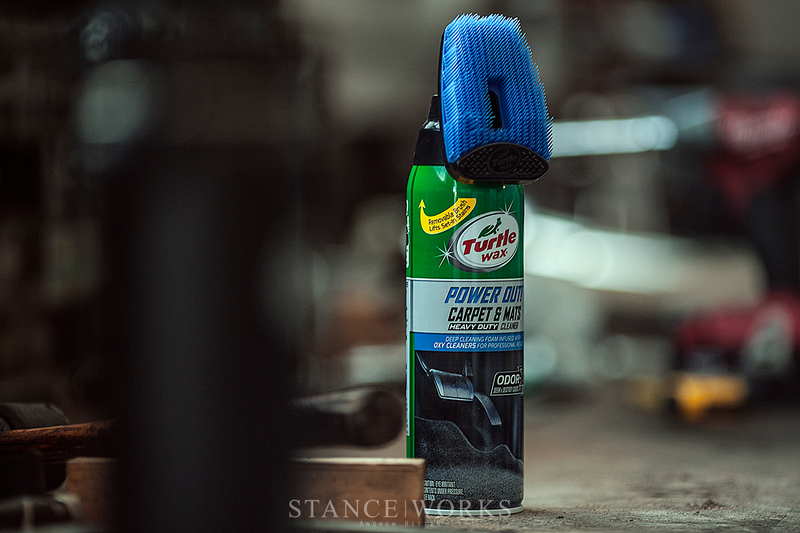 Starting this month, Turtle Wax is joining the StanceWorks Garage, not only to support and sponsor the content we build, but to provide us with the Turtle Wax lineup of goods and teach us the ins-and-outs of car care and detailing. 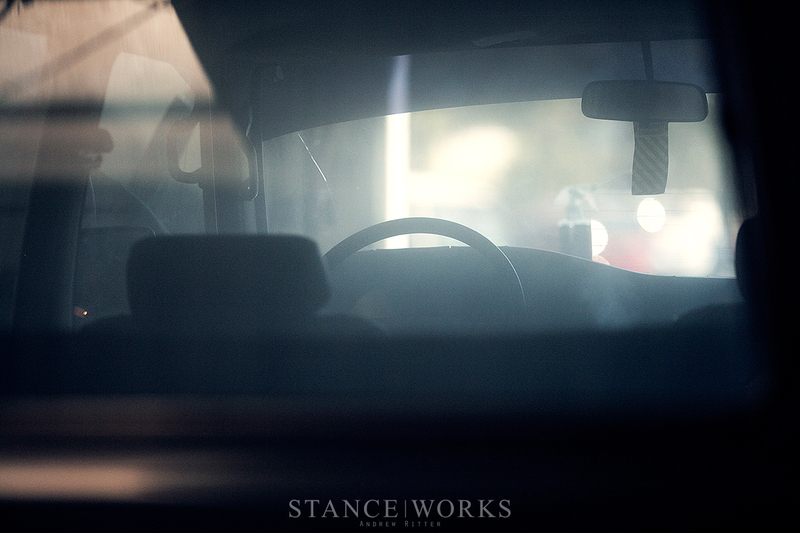 In turn, we're aiming to do what we do best, and bring our lessons to the StanceWorks homepage. When it comes to the Land Cruiser's interior, dirt and grime seem like a relatively easy fix - it's something visible and tangible; we figure why not start out with something more difficult. Eager to make a real dent, Andrew and I kicked things off with the Turtle Wax Odor-X Kit in hopes of taking down the lovely musk Chloe has fumigated the interior of the truck with. Turtle Wax's latest addition to their product line is the Power Out! series, the star of which in our eyes is the Odor-X "Whole Car Blast" canister. As an odor-killing grenade of sorts, the one-time use canister releases a fog of odor-destroying particulates. The "Whole Car Blast" canister is quite small - perhaps half the height and diameter of a can of Coke, but upon activation, we were immediately impressed with the punch it packed. Andrew, Chloe, and I hopped out of the truck, rolled up the windows, and with the AC system on and set to "recirculate" as per the Odor-X instructions, the fog was quick to fill the cabin. 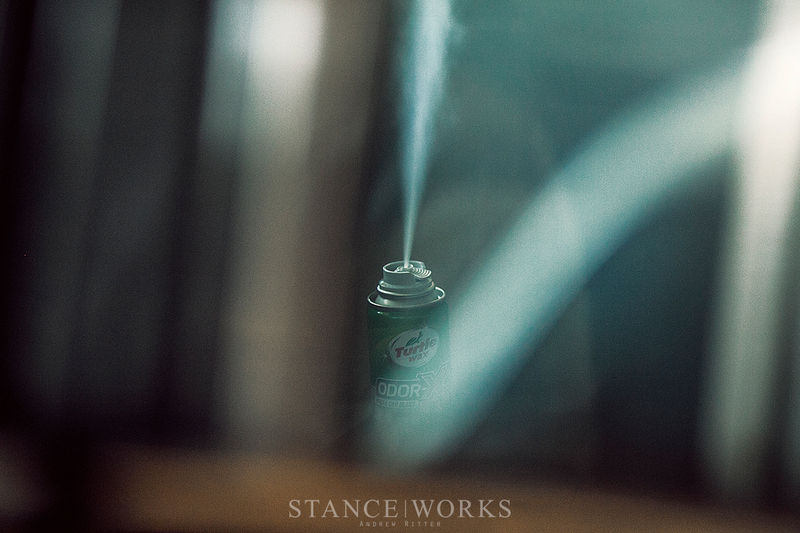 Even with the windows closed, the fragrance pierced to the truck's exterior, giving both visual and olfactive proof that the kit was working. 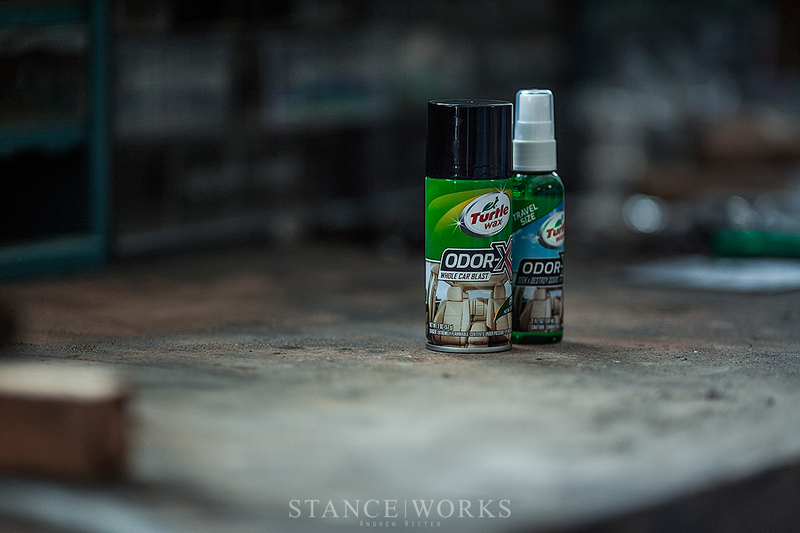 The Odor-X Kit promises to "destroy odors caused by smoke, pets, coffee, food, spills and more." Because the kit works on a molecular level, and is airborne, it aims to remove odors from surfaces, underneath seats, inside air vents, and within the carpet fibers on the floor board. It's a tall claim in our eyes, but it also makes sense. We stepped back let the kit work it's magic. 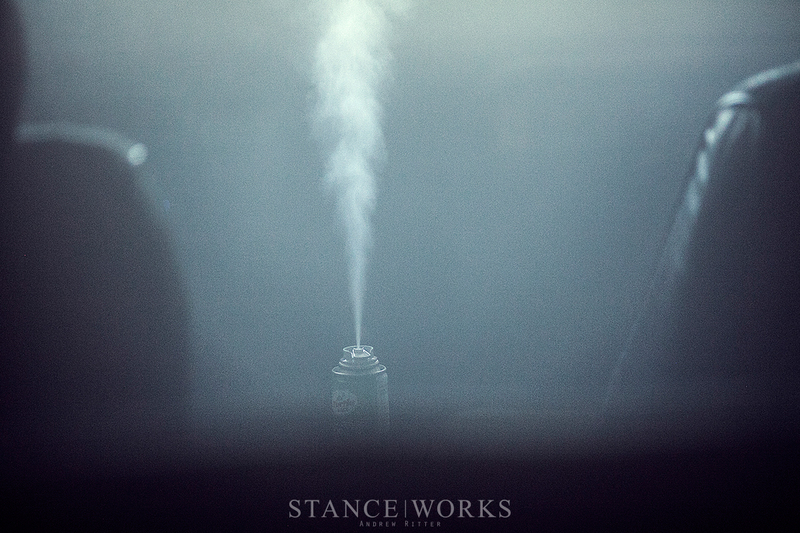 After 15 minutes, we opened the truck, wondering if perhaps the aroma would be too intense, but within moments, the fog dissipated and the fragrances subdued, revealing novel sense of "clean." We climbed inside the truck, armed with the Turtle Wax Power Out! Carpet & Mats cleaner, ready to tackle stains caused by the worst-of-the-worst. 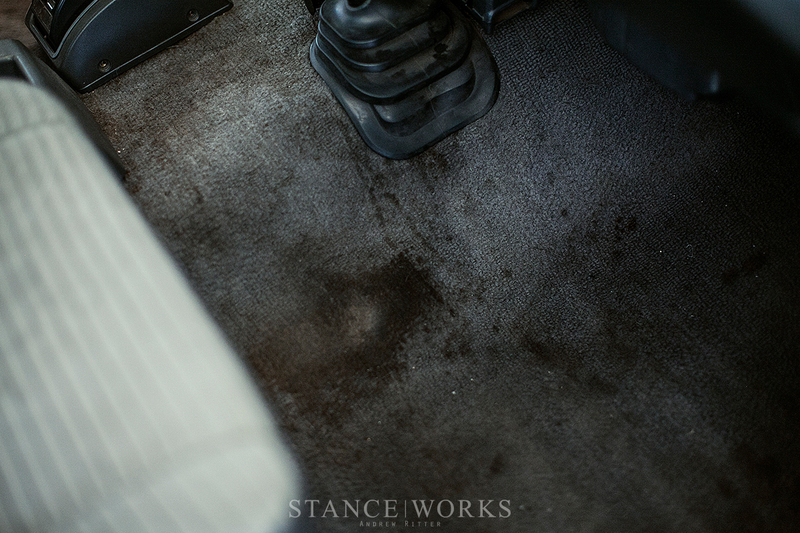 The dark black and brown stains, caused by greasy engine and brake parts tossed on the floor, have been laughed at and questioned many times over the past few years. Chloe's muddy paw prints pale in comparison in terms of stressful stains. With the foam oozing from the brush-equipped bottle, I got to scrubbing, honestly confident that no carpet cleaner could eliminate the residue left behind from grimey engine components. After scrubbing for about a minute, I let the foam sit for a few minutes more. After I removed the brush from the can for one final minute-long scrubbing session in some of the tougher to reach corners, I wiped the carpet down, revealing the factory greyish-blue carpet underneath. While the responsible side of me says "Don't put greasy car parts on your carpet anymore, moron," I now feel as though I have an excuse to do so without repercussion. The Power Out did it's job, and impressively so. We continued on to other troubled spots of the interior, tackling them one by one, poking fun at Chloe as we conquered her path of destruction. Mud, dirt, grease, and paw prints too, all came clean. 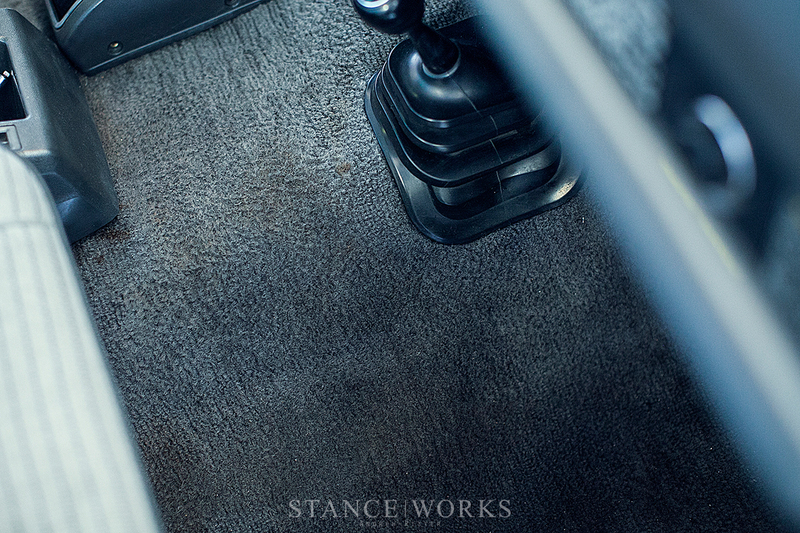 Without much time or effort, the FJ62 is already worlds better inside, smelling as good as it did when new, and it's starting to look the part too. 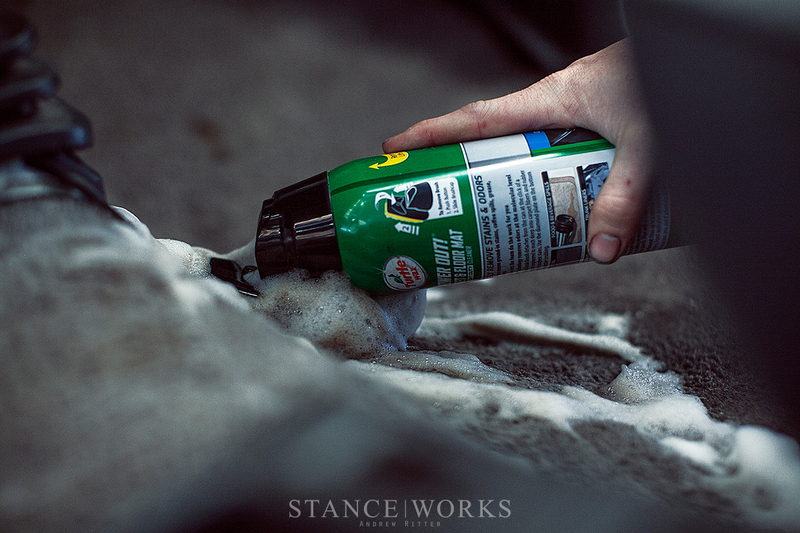 With a better understanding of what Turtle Wax's Power Out interior cleaners are capable of, and our expectations wholly exceeded, the rest of the StanceWorks fleet will soon be under total scrubdown. In fact, I caught Andrew last night scrubbing away inside his Montero, just hours later. We'll be back with more car cleaning tips and how-tos soon, thanks to Turtle Wax. This is a sponsored post. 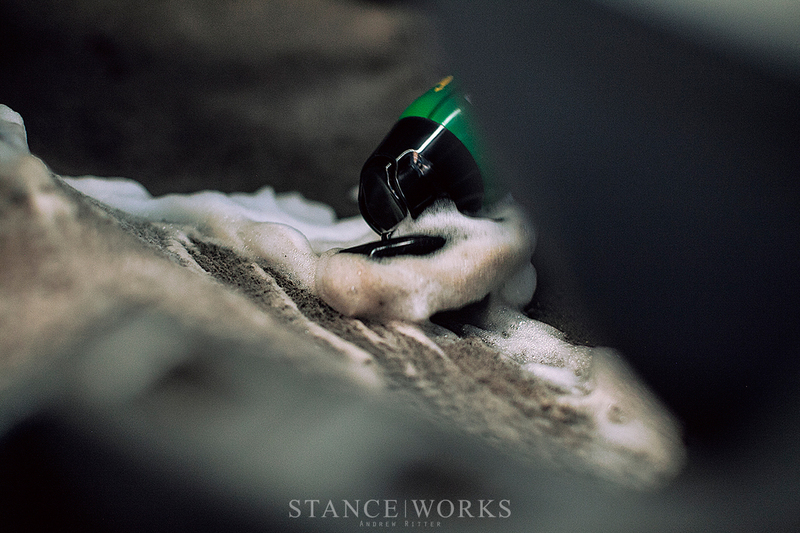 StanceWorks is part of the Turtle Wax Shine Squad team, although the opinions and thoughts expressed in this article are entirely our own. We’re aware – forums are under maintenance at the moment to solve our spam problem. When will this product be available in Europe or UK?